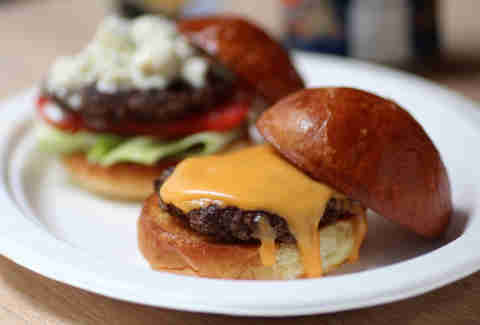 Tiny, griddled cheeseburgers come with options like charred red onions, lettuce, tomato, and pickles, all on a sweet brioche bun. 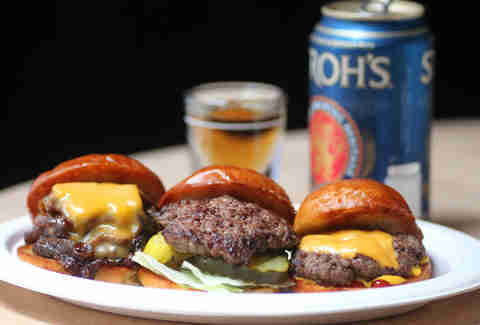 Every slider on the menu is $3 or less, and can be washed down with a boilermaker of Stroh's and a shot of Old Grand-Dad bourbon. 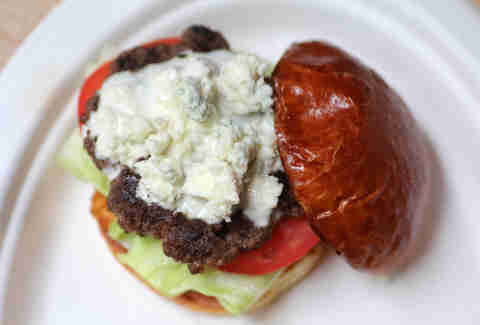 ... a c-burger with melty Merkts, the addictive local cheese spread. 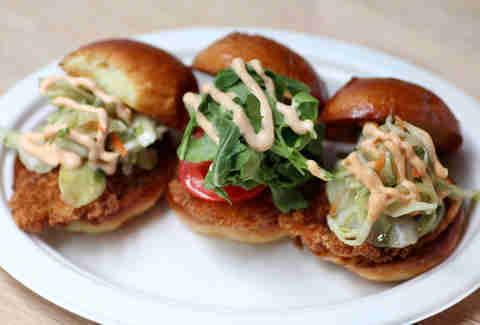 They've got three takes on fried oysters, including Sriracha & pickled ginger, Thai red curry & cucumber, and Cajun mayo & arugula. 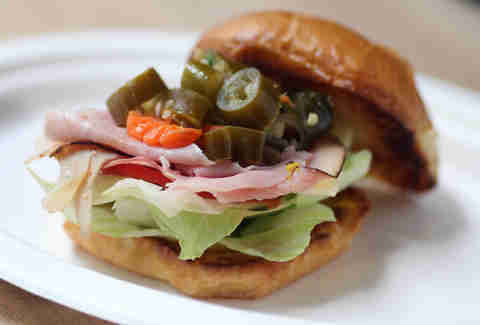 "It's-a-me, a meaty combo topped with giardiniera!" 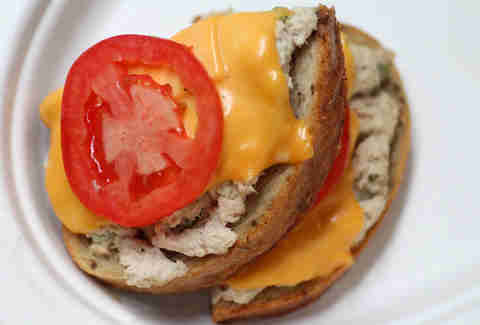 White albacore tuna is mixed with capers, lemon juice, and celery, and served with tomato and cheddar on rye. 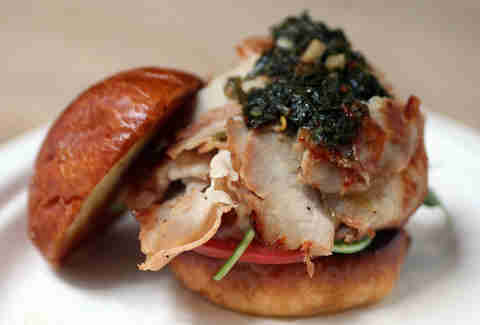 Offerings that branch away from the everyday burger include fried chicken with wildflower honey butter, peanut butter and jelly (with the option to add bacon, because, bacon), and a marinated roast pork & kimchi banh mi. 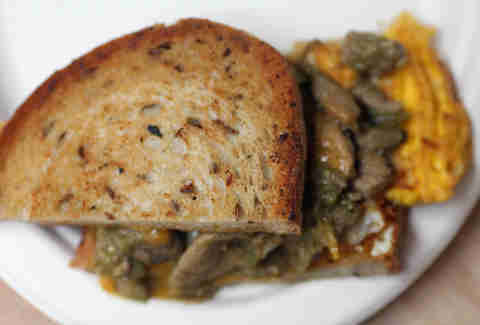 The sacred green hatch comes with fried eggs on rye. 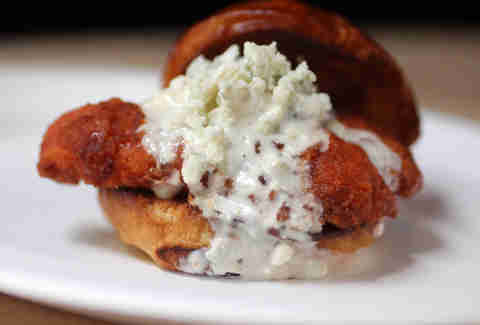 Cornflake-breaded and seasoned with cayenne and garlic, the Buffalo chicken slider is coated in a house-made honey/Buffalo sauce and finished with blue cheese dressing. 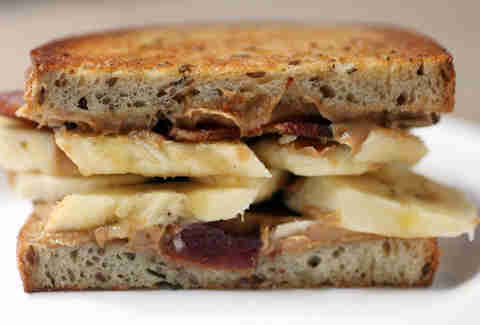 Fit for a king (though not king-sized, sorry), this sandwich packs peanut butter, bacon, and bananas. 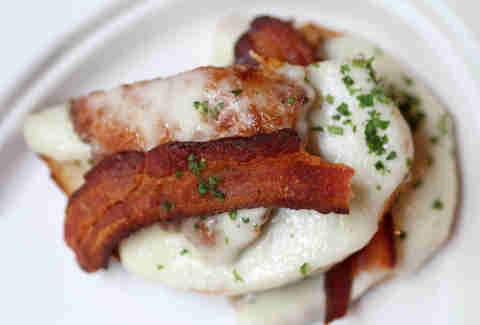 Though it sounds like a Derby horse, it's actually an open-faced sandwich with crispy chicken, bacon, and cheese sauce. 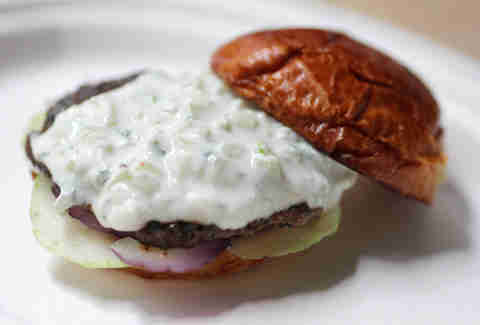 Spicy ground lamb is dressed with tzatziki and cucumber, like all things should be dressed. 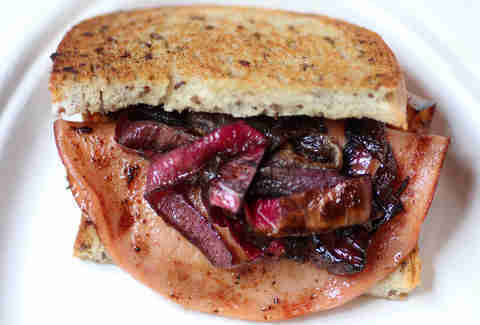 The slider parade ends with a fried bologna/onions/mustard combination. 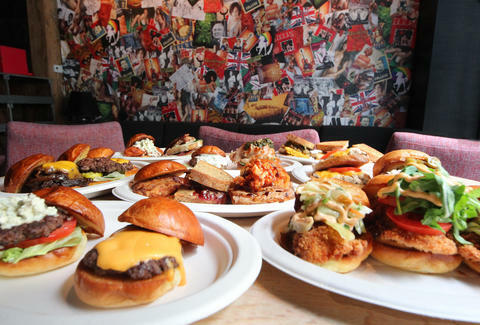 There are also a few non-slider items on the menu worth trying, too, like poutine fries, the "F**k It, Here's A Big Tamale", and the appropriately named giant nachos, served in a large oyster tray. 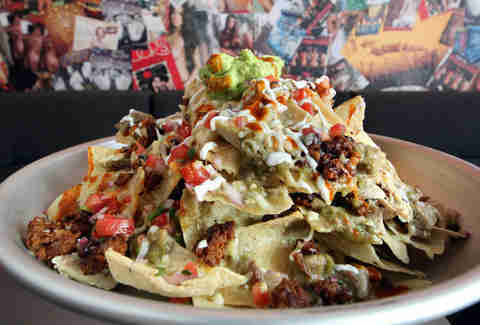 In the mix is sauteed chorizo, shredded pork, jalapeno-poached chicken, black beans, guac, Chihuahua, and Cotija cheese. 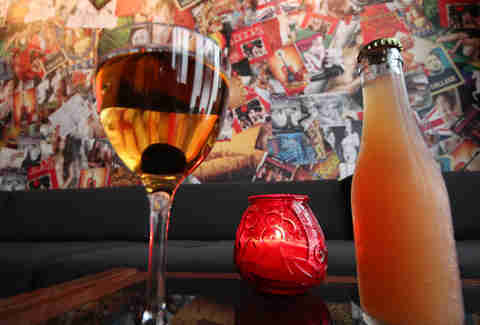 For beverages, Henry's has force-carbonated cocktails like this pisco punch (Pisco Tabernero Acholado, pineapple syrup, lime, grapefruit bitters), frozen mezcal mules, and cheap beers on draft or in cans. There's also the nuclear option to buy a bottle of Jack Daniels for your party with free refills on Coke. 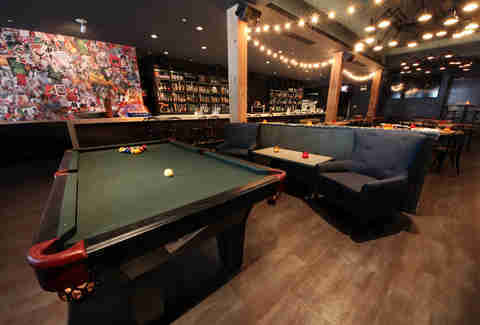 Overall, the whole place aims to be a douche-free alternative for River North barhoppers/slider-eaters, with free pool, decks of playing cards, and vintage '70s Playboys for your "article" perusal. 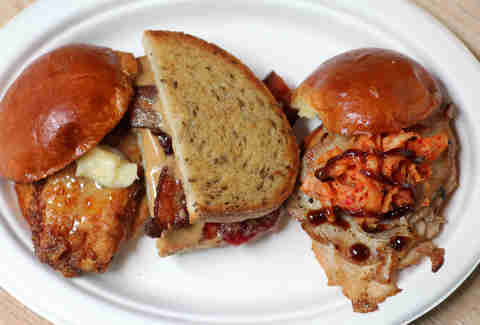 Sean Cooley is Thrillist's Chicago Editor and will take all his meals in slider form. Follow him @SeanCooley.